The Darwin Project: A Multiplayer Adventure In Canada | Nerd Much? It’s entirely Canadian, yahoo! Over at PAX East in Boston, a Canadian indie studio based in Montréal has shown off their first few images of The Darwin Project. Scavengers Studios is filled with industry veterans, and the game is probably one of the most creative ideas we’ve seen for 2017. It will “soon reach early closed beta” and studio is at PAX East to recruit folks, so be sure to take a look at their booth there. After that, The Darwin Project is greenlit by Steam to come out as an Early Access PC title this fall. Now to the game’s unique (and totally Canadian) concept. It takes place in the Northern Canadian Rockies set in a post-apocalyptic backdrop. The game gets its name from a sort of hybrid science experiment meets live entertainment project that’s launched where inmates are tasked with surviving the cold and fighting to the death against other players. If that isn’t enough to intrigue you, it’s the multiplayer that really seals the deal. It’s a competitive third person survival experience that features a manhunt where you’re both prey and predator. Players (both male and female characters will be available) are tasked with not only surviving the extreme environmental conditions but also the other six players by tracking opponents, setting traps, and using their skills to survive. As a competitor, you’ll craft, track, hunt, and try to outsmart your opponents, even proposing temporary alliances to seal the victory. Sounds like a plan to me! Did I mention it’s all Canadian? Placed in Canada and made by Canadians! No Italy here, Ubisoft! 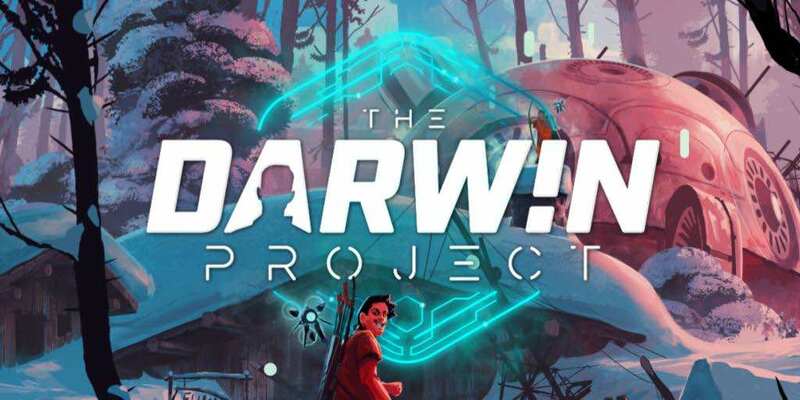 What do you think of The Darwin Project? Let us know in the comments below!